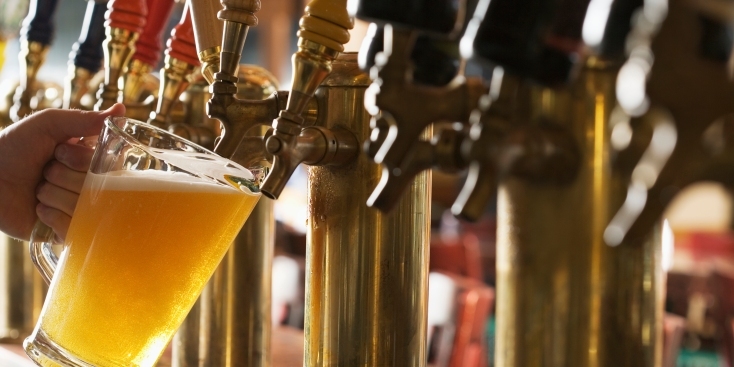 Sample the brews of summer at Village Pourhouse's Beertopia event. ALE & HEARTY: You'd hate to embark upon your summer drinking season without getting the lay of the land. Thankfully, Village Pourhouse downtown brings you Beertopia, an event where you can sample 20-plus warm-weather brews (Magic Hat's Wacko, Geary's Summer Ale, Smuttynose Summerweizen) on tap for just $1 each -- or a full dozen-glass flight for $10. 7-9PM. STAGED: New York Classical Theatre kicks off another season of excellent free performances in the city's parks with King Lear, the Dubya classic (Shakespeare, that is) about a ruler who nearly loses his mind and his family. This production runs Thursday through Sunday until 6/21. 7PM. BREAKDOWN PALACE: You may have to bide your time until the November release date to see Pedro Almodóvar's much-buzzed-about Broken Embraces (starring once-and-always muse Penélope Cruz), but console yourself with a big-screen revisiting of his award-winning black comedy of errors from 1988, Women on the Verge of a Nervous Breakdown. Beware the spiked gazpacho. Chelsea Clearview Classics, 7 and 9:30PM.